Need an inexpensive bender for small pipe and Tube. 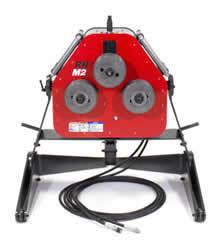 Why not look at our Edwards Tube/Pipe Bender with an Ironworker. 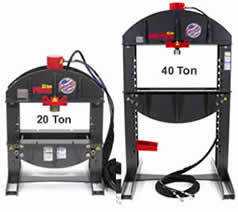 You could get both for the cost of many other manufactures tube benders. 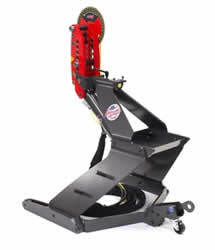 For less than 10K you could buy a 40 Ton Ironworker with Hydraulic Accessory Pack plus this Pipe/Tube Bender. Answer : At this time Edwards does not supply dies to fit rectangular tube. Roll Pipe – Tube – Bar Sections on the NEW Radius Roller. Works in horizontal and vertical positioning. 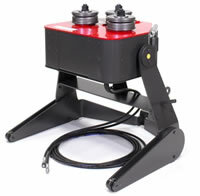 Plugs into Edwards PowerPack or Built in Ironworker Hydraulic Accessory Power Pack. 20 Ton Shop Press 2" Ram, Work-Area 10.5 x 20"
40 Ton 4" Ram Work Are 38" x 40.5"
It accepts lots of different tooling.